This poster reflects the fact that for a period in the 1920’s, Hitler was forbidden to address public meetings in much of Germany. The artist is Philipp Rupprecht who is best known for his cartoons Julius Streicher and Der Stürmer (“The Attacker”). Tricking franchisees into signing gag orders when they evaluate a franchise, when they renew, when they re-finance and then when they sell is next to useless. 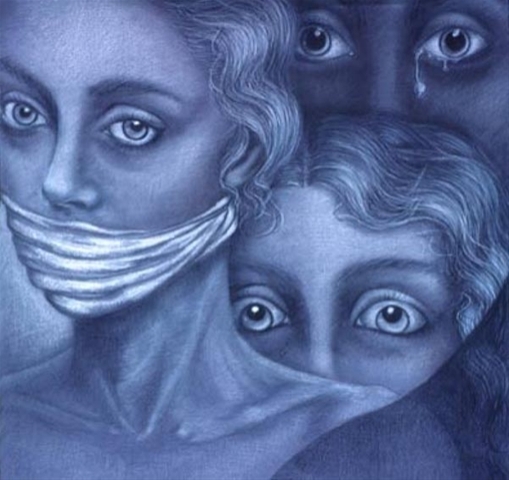 Gag orders are powerful but not for the way most people think. 1. The conventional wisdom is that confidentiality agreements act to stop the flow of information (negative stories) coming back to the market. Usually, information flows reward good operators or franchisors and punish opportunistic franchisors (people are unwilling to invest in their systems. This is part of their function but they are much more useful than just that. 2. Gag orders are a sophisticated form of mind control that taps into exiting franchisees’ guilt and internal conflicts. The gag order is only the symbol of a franchisee’s betray of another person, another family. Franchising sets up a Bargain with the Devil that is disguised within an economic model. The deal seems to say: ” You get 15% of the value of your investment you must sign a gag order”. As an exiting franchisee from a deadbeat investment, you know anyone that buys the store from you will lose their life savings. You also know (at least on some level) that by agreeing to the “deal” you are becoming complicit with the franchisor: the very party who has basically ruined your family and future. You are maneuvered into believing that the “best of the worst” alternatives is to screw another unknown future franchisee to the wall. I believe franchises get really sick because of this internal conflict, of knowingly betraying a stranger in order to survive. Franchisees that I have known that died, often attribute their cancer, heart attack, etc. to franchising (via stress). in a very real sense, you become more of a slave than the new guy because you were aware of what would happen. This internal guilt or cognitive dissonance (two contradictory ideas at once: “I hate my franchisor for lying to me” but “I lied to escape”) is what keeps former franchisees sick, inactive and silent. You have created an internal conflict that is next-to-impossible to reconcile. It’s called being eaten alive and creating yourself as your own worst enemy. I know this very well as someone who has never signed a gag order. Scribbling your name on a document means next to nothing. Intentionally conspiring with and becoming buddies with evil, means the world. Outlaw gag orders. Outlaw gag orders. In the spring of 2000, a committee of the Ontario, Canada government held public hearings to see if there was a need for our first franchise law. This was the stated reason. The real reason was the franchise industry wanted a weak law [McLaw] to bolster their shady reputation. Big Franchising gets what it wants from governments. I gave expert witness testimony [.pdf] to the Standing Committee on Regulations and Private Bills. We had 4 full days of traveling hearings with about 40 witnesses in total. I tagged along with the 13 provincial politicians as an unpaid industry resource ot a member, Mr. Tony Martin from Sault Ste Marie. In the next little while, I will be bringing forward some of the testimonies that I found compelling. I would encourage everyone in Australia to contribute to the national inquiry. When I was asked if I had one wish, what would I wish for. This is the answer I gave: Outlaw gag orders. Outlaw gag orders. Confidentiality agreements are almost always coerced. In many cases, the value of any dispute settlement is largely in silencing the individual to avoid piling on [many other similar claims coming forward]. Franchisee dissenters are increasingly becoming the target for lawsuits designed simply to stop them from communicating [especially on the internet] by driving them into economic poverty. I am not alone in thinking that silencing people is an evil independent of any other act. The greatest lies are told by those unable to speak.